Recently our countryside estate team spent two weeks improving sections of the Pennine Way onto Pen-Y-Ghent in the magnificent Yorkshire Dales National Park. 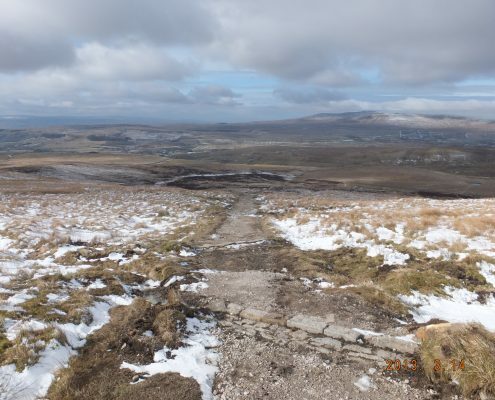 This popular route is walked by thousands of people each year either attempting the classic 26 mile three peaks route (Ingleborough, Pen-y-Ghent, Whernside) or walking the Pennine Way. 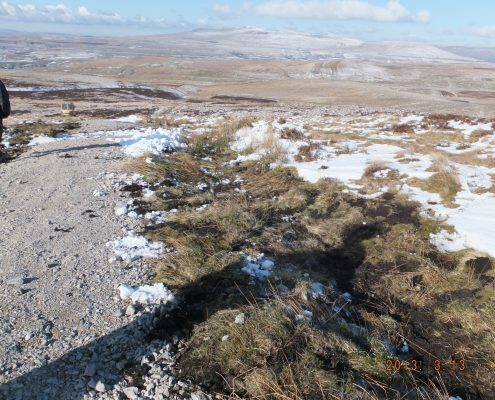 Over time the path had been eroded by foot fall and the severe elements. 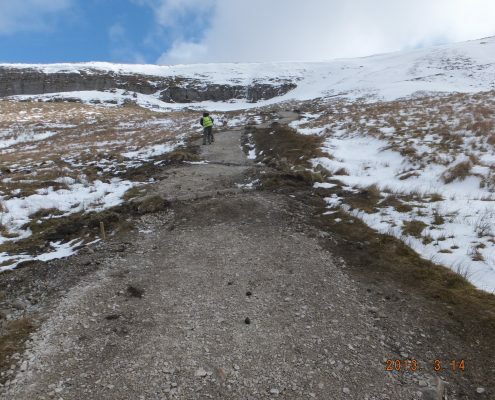 Immediate action needed to be taken to prevent the trail deteriorating any further. Colin Chick the Pennine Way Ranger moved fast when an opportunity for funding through Natural England became available. Funding in place, materials ordered, helicopter booked and Conservefor appointed to achieve the desired results the project became live. 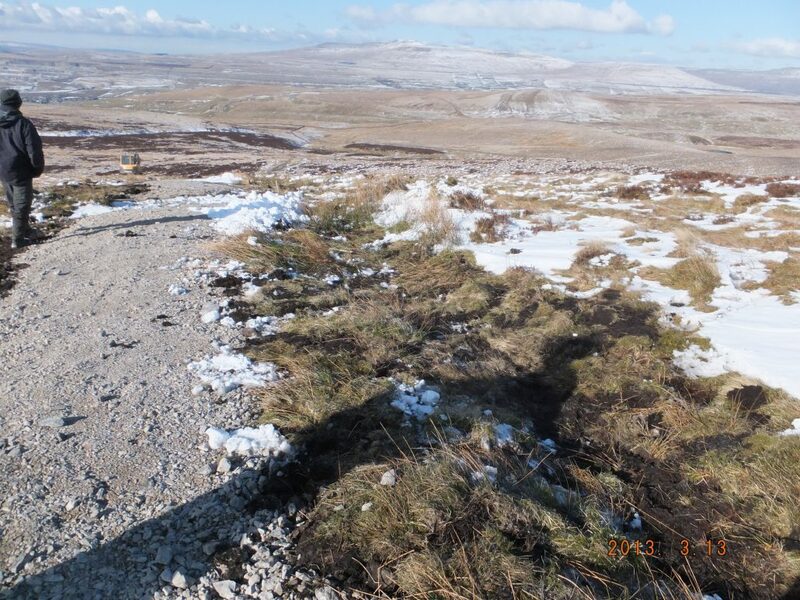 The aim of the project was to surface the damaged section, improve drainage adjacent the path and create water breaks to deflect surface water off the path. The helicopter flew the materials onto site and the Conservefor estate team set about constructing 56 stone pitched reverse camber cross drains. 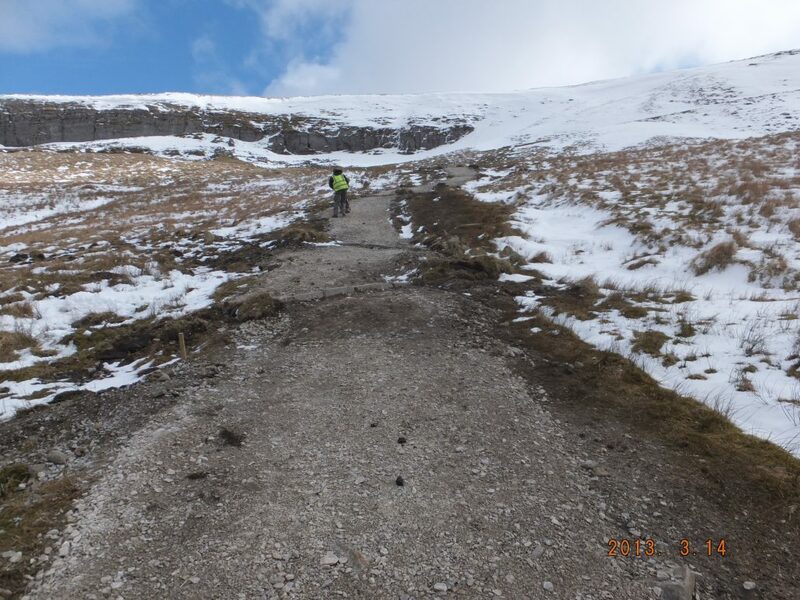 Each hand built stone pitched drain is constructed to deflect water thus preventing scouring and continuing trail erosion. 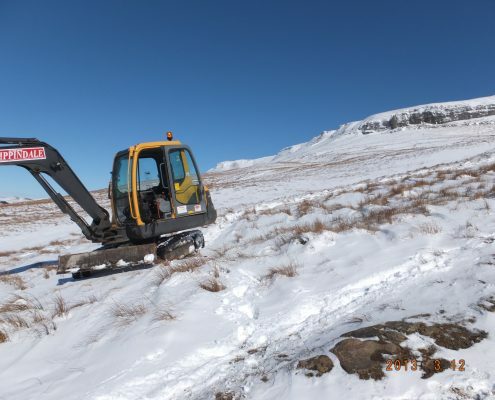 In addition to the drains the team installed over a kilometre of turf lined ditches and using the aggregate drop on site levelled, graded and landscaped hundred of metres of badly damaged sections of the route.